For the convenience of professional therapists, we offer a cost-effective pack of 12 pairs of Biosun Traditional Ear Candles. Each pair is separately sealed in cellophane packaging for hygienic purposes. 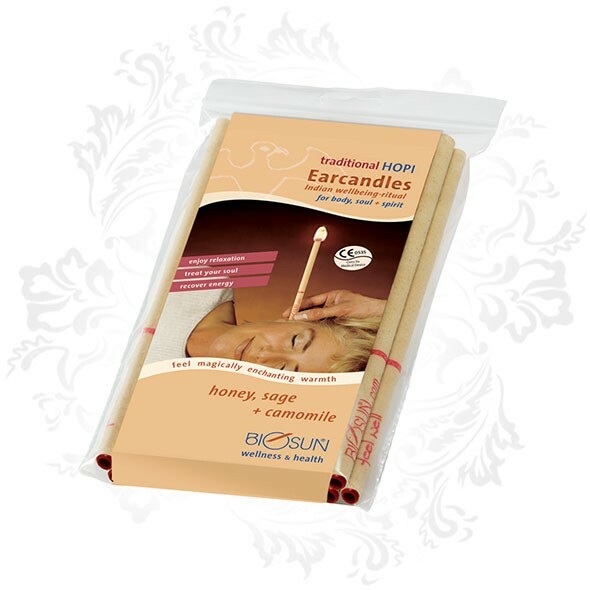 Ear candling can have a direct impact on your overall well being as it stimulates your auditory system (inner and outer ear). They have a purely physical effect and are certified according to the European Medical Device Directive. They are handmade with care, using only the best, pre-tested, natural ingredients. These include cotton, bees wax, honey and aroma essences. 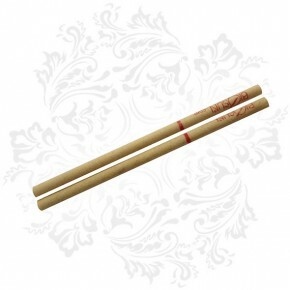 It is commonly believed that ear candling was invented by the ancient Egyptians around 3000 BC. Today ear candling is widely practiced by both professionals and lay people all over the world. The Original BIOSUN Earcandles have their origin in the centuries-old culture of the Hopi Indians. The Biosun Traditional Ear Candles are certified medical products under the EC guidelines and have built in safety features to prevent damage to the ear. Biosun Traditional Ear Candles have a filter to prevent debris entering the ear canal and a burn line, which indicates the maximum length that the candle may burn. The word candle is derived from the shape and not the function. Ear candles are hollow cylinders or cones, usually made from hemp, flax or linen sprayed with beeswax. The Biosun ear candles also contain honey extracts and Indian herbs such as sage, St John's wort and camomile. They do not have a wick like a normal candle and when used the candle itself is set alight. As the candle burns, it melts and vaporises the ingredients. Some of these are oily and heavy and will spiral down into the ear cavity causing the tympanic membrane to start vibrating. As with sound waves, any vibration of the eardrum is carried through to the middle and inner ear and therefore the entire auditory system receives a gentle massage. Because the Eustachian tube opens into the middle ear, the effect of the candling is carried through to the nose, throat and sinuses and any pressure may be balanced. As the sinuses drain, a calming, light feeling and a more intensive sense of smell is often experienced. The aromas are taken up by the olfactory receptor cells in the nose and transmitted to the limbic part of the brain, which houses our memories and emotions. The brain in turn transmits these feelings of wellbeing to the rest of our systems. Some of the odours are inhaled into our lungs and carried by the bloodstream to all the parts of our body. Ear candles relax the body and when this happens, the parasympathetic nervous system becomes invigorated, decreasing the heart and respiratory rate and increasing peristalsis in the digestive system. Healing chemicals are also released which counteract harmful chemicals and reactions in our bodies. The candle should only be allowed to burn to about one centimetre above the burn marker line. Once it has reached this point it should be carefully removed and then immediately extinguished in a glass of water. After both ears have been treated, the client should be left to rest for 15 to 30 minutes. Click here for an interesting and informative interview with Mary Dalgleish and Lesley Hart, the authors of “Ear candling – in essence”. They discuss the clinical studies that have been done on the benefits of ear candling. If you suffer from chronic or acute diseases or have doubts about ear candling consult your healthcare provider. Ear candling is definitely NOT recommended for persons suffering from a perforated eardrum or tympanostomy tube implants. The same applies to all kinds of inflammations of the ear and skin problems in and around the ear.